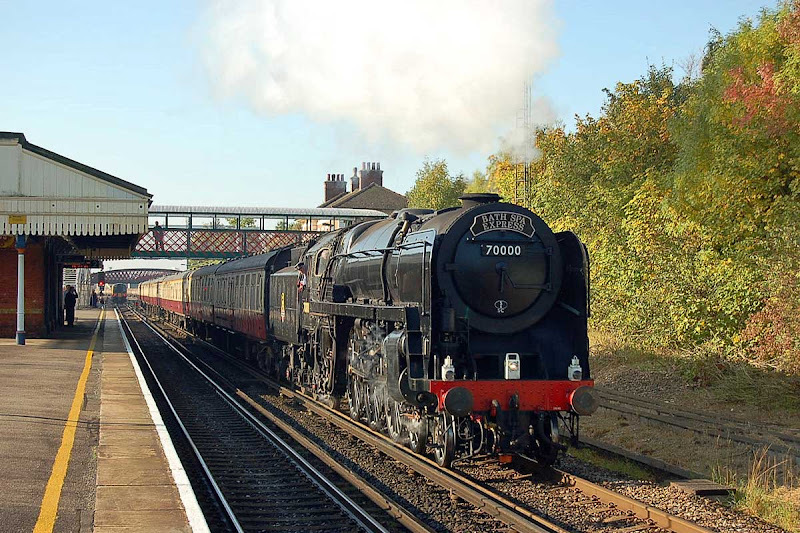 70000 passes St Denys with the 'Bath Spa Express', 28th September. Image by Ian Knight. 47841 + 47802 near journey's end with the 'Cruise Saver Express' seen at Millbrook on 27th September. Image by Ian Knight. 66412 arrived at Maritime for maintenance prior to a return to service for Freightliner, 27th September. Formerly in Malcolm Group vinyls for DRS. Image by Ian Knight. 66412 arrived 26Sep 66505 + 66412 DIT 4O22 22.12 (Sun) Basford Hall - Maritime. 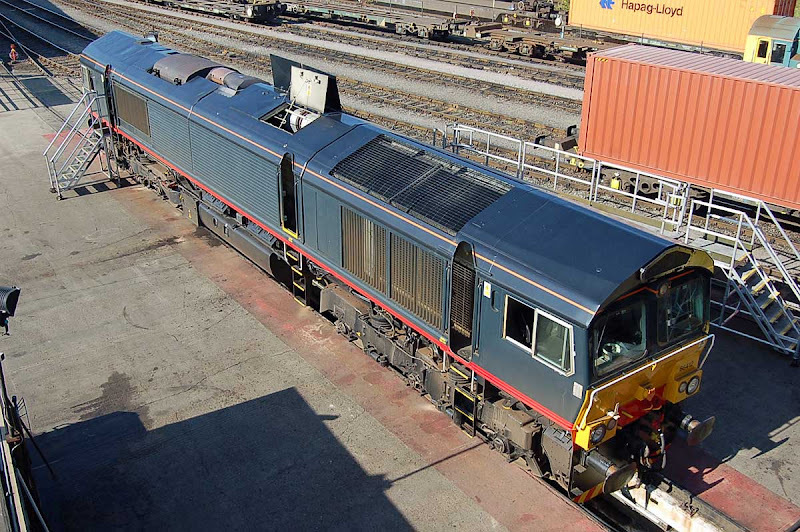 Operated 4V50 Southampton - Wentloog on 30Sep, but failed in Severn Tunnel on 4O57 return. Rescued from tunnel, and later worked the train on its own again. Reported shunting at Maritime on 01Oct. 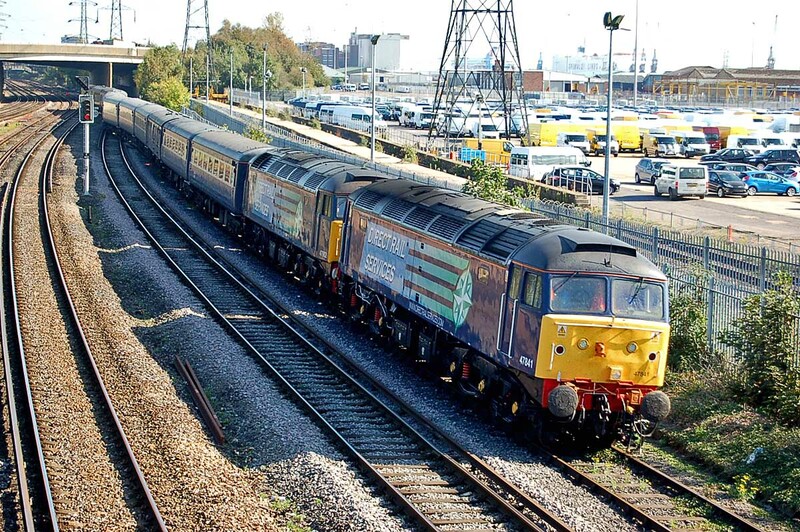 66413 arrived 01Oct 66540 + 66413 DIT 4O29 08:14 Basford Hall - Maritime.